Well I have at last managed to get some crafting done. Being back to work, after my surgery last year, does not leave much time for crafting and my love of lawn bowls. The weather has been really good lately so the bowling seems to come first. Anyway back to crafting. 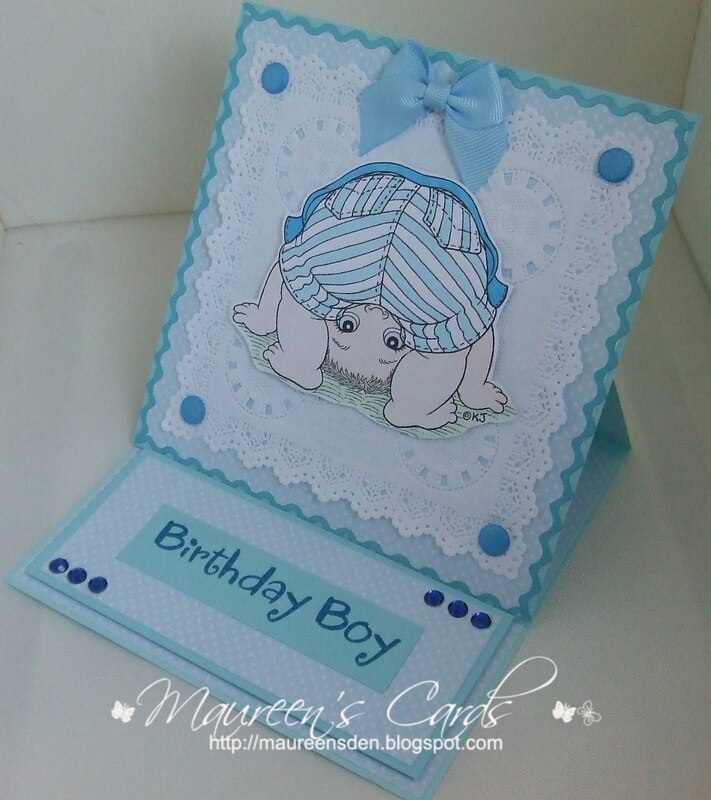 I have made this cute easel card with an image called ' Peekaboo Boy' from Karens Doodles. You can get this image here. I have coloured him with Promarkers and layered him onto a square doilly. The base card is blue with spotty backing paper from Dovecraft 'Back to Basic' pad. I have added a blue wavy peel-off round the edge of the main part of the card and used some white card candy, which I have coloured with Promarkers, and added them to the corners. The sentiment was printed from the PC and I have added some gems and a bow to finish off. Love the colours and the image is super. Thanks for joining our challenge. Beautiful card Maureen, fab little image & luv the colors. This is adorable!Love the soft colours and the image is so cute! Aaw! what a sweet image! gorgeous card Maureen! Cute as a button Maureen. This is awesome!!! I LOVE the soft blues and that bow is perfect! Great colouring!!! THANKS for joining us at Karen's Doodles again this week! Lovely cute card. Love all the blues. Thank you for joining in the By the Cute and Girly Anything Goes challenge. 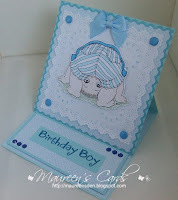 Such a cute baby card - love the mixture of patterns with the dots and stripes!! Thanks for joining our pattern challenge at St Luke's Charity Card challenge. Hope to see you next month! Beautiful card, Maureen:O) Love the doili and sweet colours, great design! What a cute card. Thanks for joining in our first challenge at Here Comes The Boys, and I hope we will see you again. Beautiful and just perfect for this weeks challenge. Love your coloring. 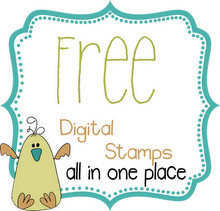 Thank you so much for joining the fun at Karen Doodles challenge blog this week. 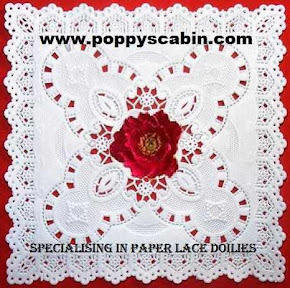 Fabulous baby card. Thank you for joining us at St Lukes Charity Card Challenge this month. See you next month.